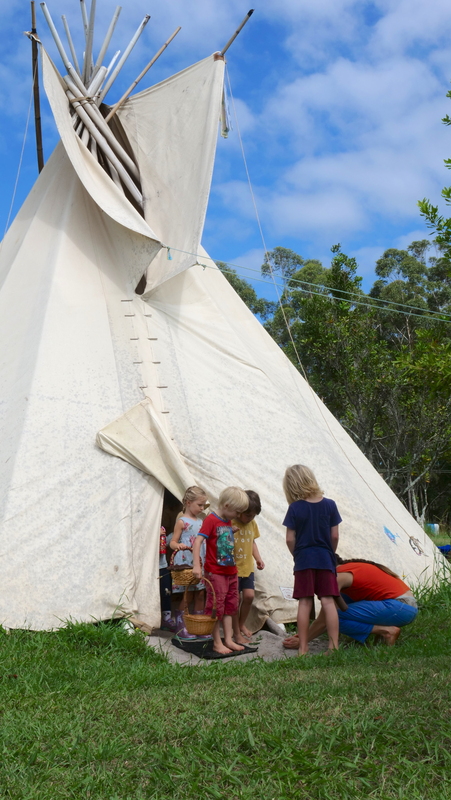 Alithia held the first gathering of 2018 at the Guunuwa organic farm in beautiful Valla rural. We began as always with our welcome gathering; connecting with the land and people, introducing each other in fun ways, and kickstarted our brains with some funky physical exercises. 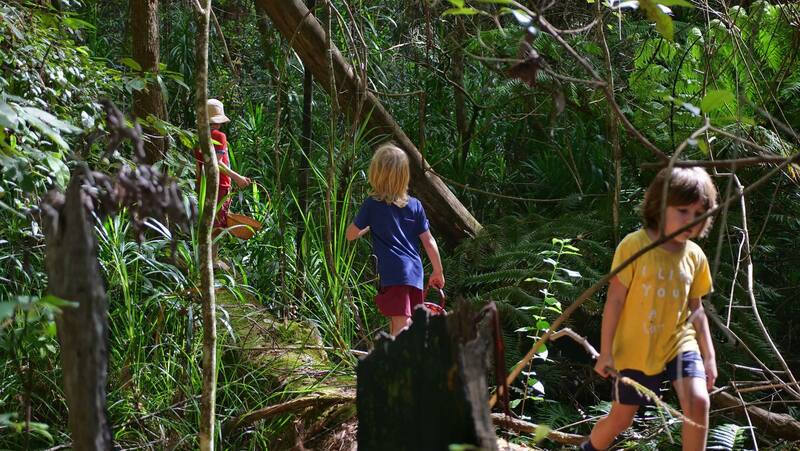 Our workshop this month was an exploration in the nearby forest with a Forest School facilitator, Jodi, visiting us from nearby Dorrigo. 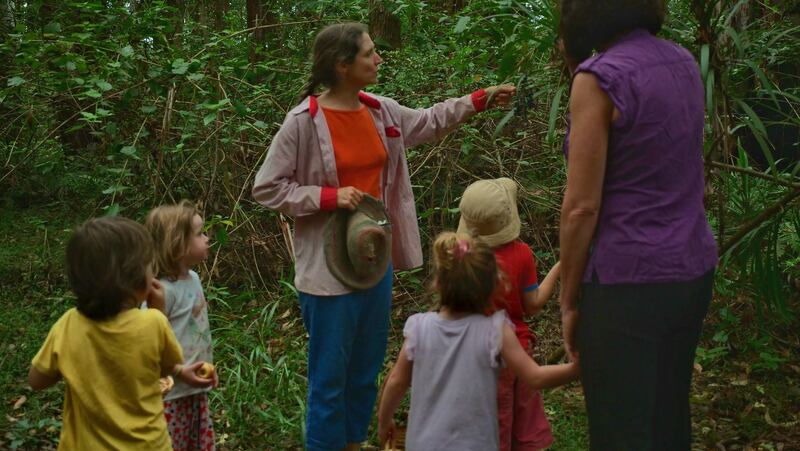 Jodi shared with us her wealth of knowledge around anything plants and animals. The kids where amazed and taken on a magical journey. 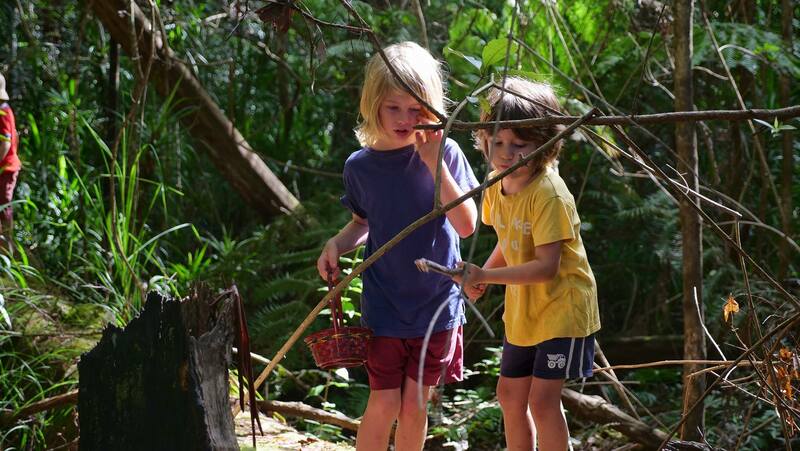 Discovering the world from the view of leeches, birds and ants. 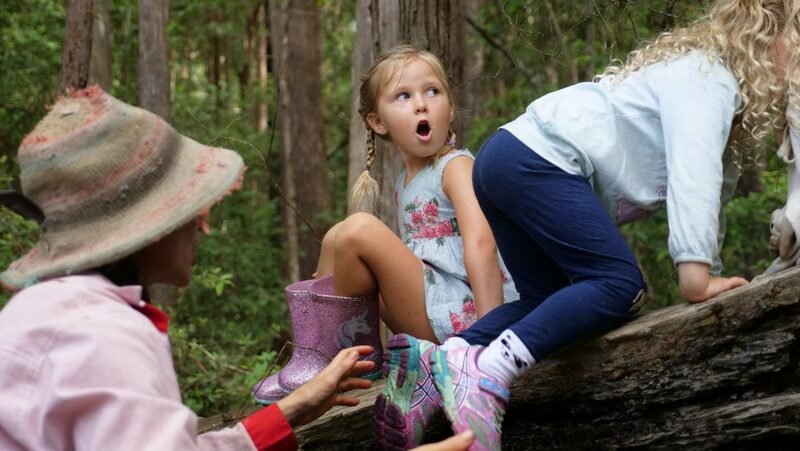 We discovered the abundance of all the small and big things that make up the ecosystem of a forest and Jodi explained the connection to the environment in a most interesting and playful way. 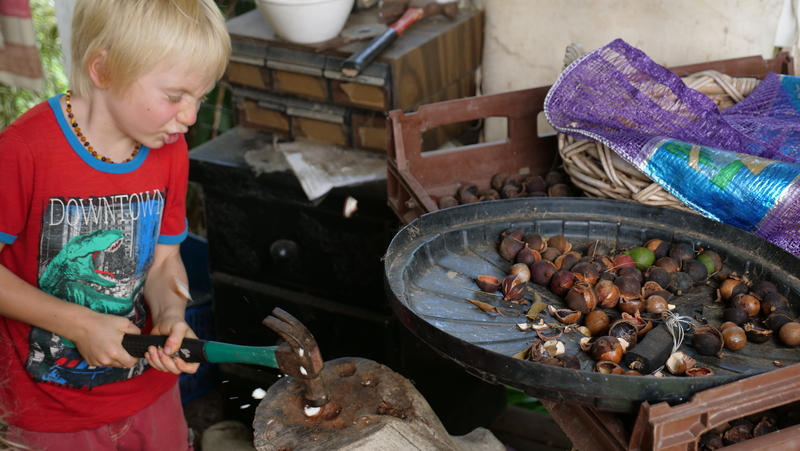 We smelled, listened, touched and got all our senses involved. The kids absolutely loved it and came up with the most amazing questions that were all answered by our expert and even the parents could expand their knowledge on that day. 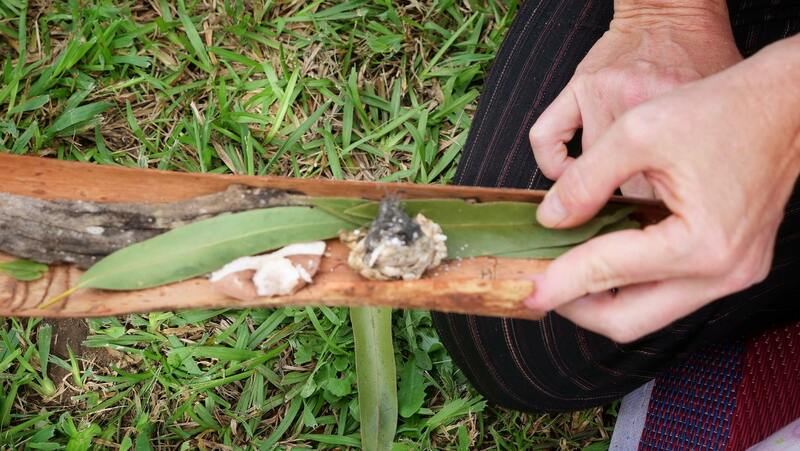 We investigated a "pellet" (vomit) from a bird of prey to learn what it had been eating that day, learnt tools to discover if a berry or plant was poisonous, discovered plants with medicinal qualities and found mushrooms that came with a much-needed warning for the little ones. We used our imagination where and how the fairies live and climbed onto a huge fallen tree that became the 'sleeping giant'. Magic was seen and felt all around us. 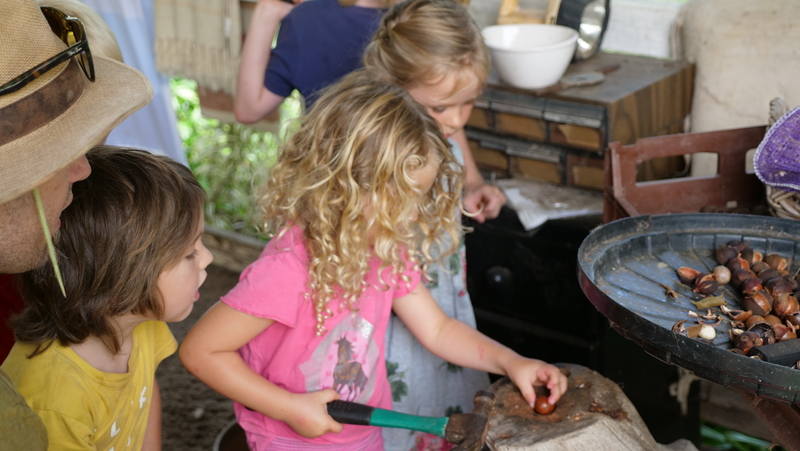 Back in the 'camp' we shared some of the most interesting things we found in the forest, did some nature craft and cracked an abundance of macadamias. 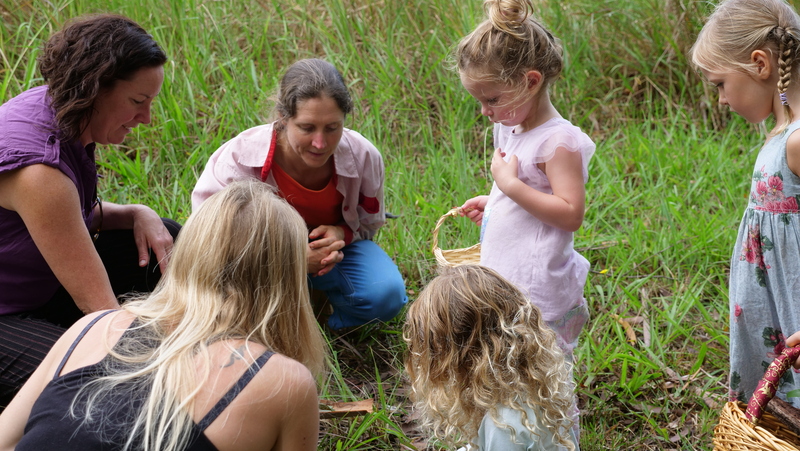 A huge thank you goes out to Jodi that came all the way from Dorrigo and shared her scientific environmental knowledge in such a fun and explorative way and to Christina at the Guunuwa Organic Farm for inviting us to her property where the children are always able to run free like the wind.